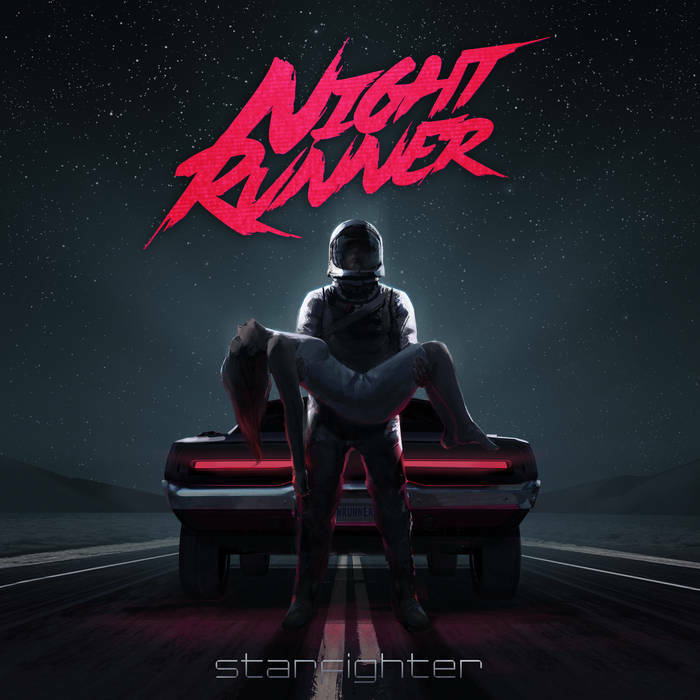 Mexican duo Night Runner puts the bar very high with Starfighter, a blend of everything we adore in Synthwave. Careful not to tread on the swampy grounds of Darksynth (that we shall love forever and more), they focus the power of their music on softer beats, fast but not agressive. The first line of synthesizers give the release its tone and atmosphere. A space vigilante has come to Earth for a bit in his old berline, listening to a couple of good tracks and saving a few innocents on the way. Just an excellent album, great to share with everyone. If you can, you can even go as far as to show your appreciation by giving a little something.